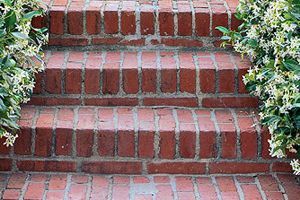 Comment: Front steps of home are crumbling and loose. Small job but needs to be repaired when able. Comment: Remove an outside door and brick up the space where the door was removed. Also, Repair cracks in other bricked areas. Comment: We have an existing stone deck that is in need of serious repair. Additionally, we would like to add another similar deck area on the other side of the house and walk way to the front driveway. Ridgeland Brick & Stone Masonry Contractors are rated 4.62 out of 5 based on 28 reviews of 7 pros. Not Looking for Brick & Stone Contractors in Ridgeland, MS?